There’s something that you might not know about me, maybe you can relate. The one thing that drives me most is helping my clients get results. I love seeing and launch them launch their business online, get that first client, launch their first signature program, and sell those high ticket packages. In today’s episode I want to introduce you to a lovely and talented woman named Michelle. Michelle’s from Scotland and lives there with her husband and son. The best part about her story is she had no email list, no product to sell, and no clients. She teaches people how to play the bodhran drum. 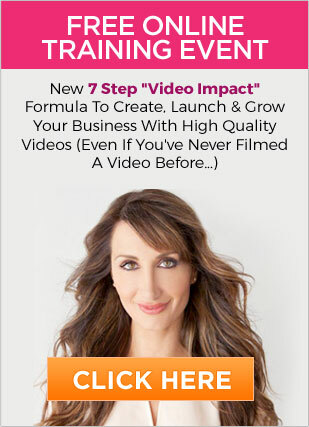 In this interview you’ll see how she was able to get 300 new clients to join her first program through doing a video product launch, and how her husband had fun refreshing the paypal button as she had a Five Figure day. This is possible for anyone who is willing to put themselves on camera and to step into being the Expert you already are. Thanks so much for watching and I would love to hear from you in the comments section. I personally read each and every single one! PS I would love to hear what your vision is? What kind of program can you see yourself launching to have big payday like Michelle?